Addiction is a condition that affects hundreds of thousands of people around the UK and Europe. It’s also a condition that afflicts someone through a slow and gradual process. In other words, very rarely does an addict find him or herself in this state overnight. It generally takes months of consistent excessive drinking or drug abuse before someone finally winds up an alcoholic or drug addict. Given the fact that addiction develops over time, rehab also takes time as well. Long-term rehab is more than just a one-week detox programme and a handshake. It is a process that can take anywhere between 2 and 12 months, depending on the individual and the severity of his or her addiction. As a means of restoring someone to health or normal life, alcohol rehab is intended to help the alcoholic return to the life he or she knew before they started drinking. That means a life of better health, better relationships, better finances, and effective strategies for dealing with the pressures and temptations of life. Make no mistake; rehab is not the same thing as detox. Detox is the process of breaking the physical addiction to alcohol by forcing the individual to be separated from it. During the detox process, the body is able to rid itself of alcohol and its associated compounds. Most people can complete detox in a week or less. The purpose behind long-term rehab is to do what physical detox cannot: address the mental and emotional aspects of addiction. There are private rehab clinics all over the UK offering a full compendium of services. This makes it impossible for us to present a therapeutic plan that would apply to every alcoholic. What’s more, there is no longer a one-size-fits-all approach for everyone who enters rehab. Detox – Although detox and rehab are two separate things, rehab is impossible without first completing detox. The physical addiction to alcohol must be broken before the mental and emotional issues can be dealt with. Medications – Private clinics are staffed by medical professionals capable of administering medications to aid both withdrawal and maintenance. Sometimes medications are necessary because withdrawal can present a medical emergency. Rest assured that medications are only used when absolutely necessary. Counselling – An important part of every rehab programme is counselling, both one-on-one and in a group setting. One-on-one counselling is designed to deal with those issues the alcoholic is unable to identify and work through on his/her own. Group counselling offers support and accountability by placing the alcoholic in a group with his/her peers. Group Activities – Controlled group activities, such as scheduled field trips to sporting events and the like, are used to teach the recovering alcoholic that he or she can indeed enjoy life without a drink in their hand. These activities also serve to strengthen the bonds between all of the members of the group. Skills Training – Helping the recovering alcoholic prepare for life after rehab is the goal of skills training. This type of training teaches the individual how to handle daily pressures and avoid the temptation to return to drinking. Aftercare – The final step in any long-term rehab programme is known as aftercare. This is a group of therapies that are, by design, very similar to what the recovering alcoholic experienced while in residential treatment. Aftercare is intended to support the individual as a means of avoiding relapse. 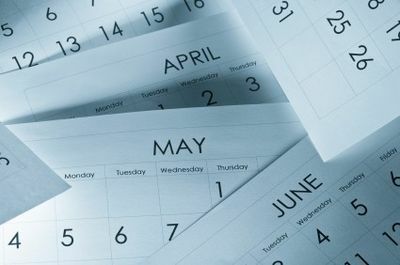 If you are considering a long-term rehab programme for yourself or someone you love, plan on the shortest residential programme lasting about six weeks. Some can go as long as 12 weeks if circumstances warrant. After the residential treatment, plan on at least three months of aftercare. During this time, it might be possible to continue with maintenance medications if they are medically warranted. Even if you or a loved one cannot afford a long-term rehab programme at a private clinic, do not let that dissuade you from seeking the help you need. Most organisations involved in alcohol rehab live by the old adage that says, ‘where there is a will, there is a way’. Even if no means of paying for private care can be found, there are other programmes offered by alcohol recovery charities, independent support groups, professional counselling services and the NHS. Somewhere there is a programme every alcoholic can benefit from. Now that you’re almost done reading, what will you do? How you use the information we have provided is entirely your choice. However, remember this: no alcoholic can be helped by a long-term rehab programme until he or she wants to be helped. Entering a rehab programme unwillingly is a recipe for failure. If you think you might have an alcohol problem, your first step is to call us or your NHS physician for an evaluation. If your alcohol use does not constitute dependency yet, there is still help available for alcohol abuse. If you are an alcoholic already, an initial consultation should reveal that. Please understand that alcohol abuse and dependency does not affect only you. It affects everyone around you, including your loved ones. For both their sake and yours, make the decision today to seek help in a long-term rehab programme. It might be the best decision you have ever made.